New video about the Vacuum Insulation Panels industry available! 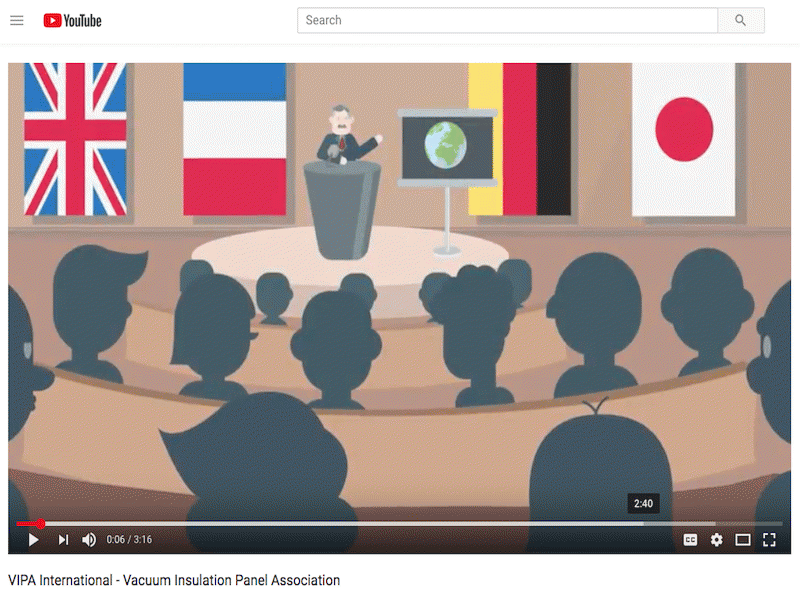 VIPA International is proud to announce the release of a new promotional video about the Vacuum Insulation Panels (VIPs) industry, created in an effort to raise awareness about the different applications of VIPs and the benefits they bring. To find out more about the VIPs industry, we invite you to watch our video! It is accessible both on Youtube and on the VIPA International website and subtitles in several languages are available. Gregor Erbenich, President of VIPA International, said: “We are proud about our new tool to promote the Vacuum Insulation Panels industry. Our innovative products are able to tackle climate change and they contribute to saving space and energy consumption in the world. Don't hesitate to share the video via your channels to spread the news!”.